Every inch counts especially when you’ve invited family and friends to dine in your petite abode. Before you start sweating like a contender on the Next Iron Chef, double your usable prep area right over the stovetop for about $3! 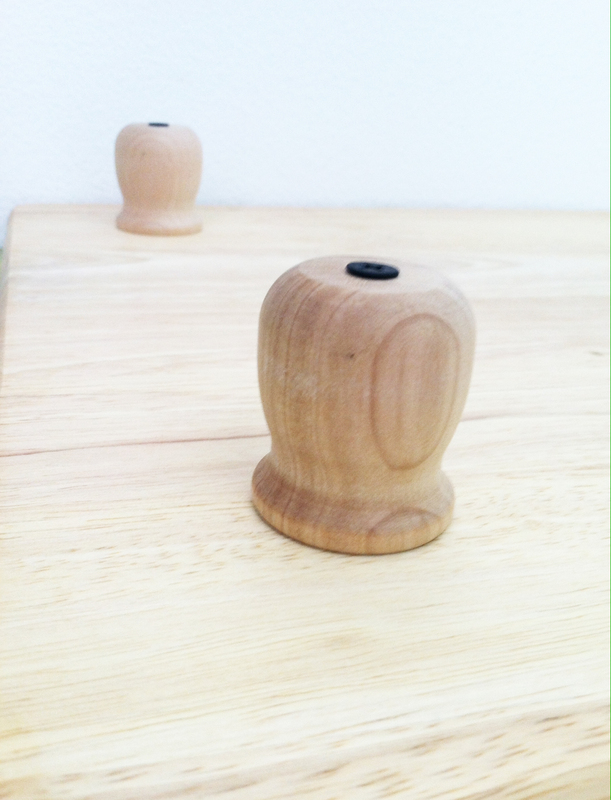 It’s a smart way to give your old cutting board new “legs”. 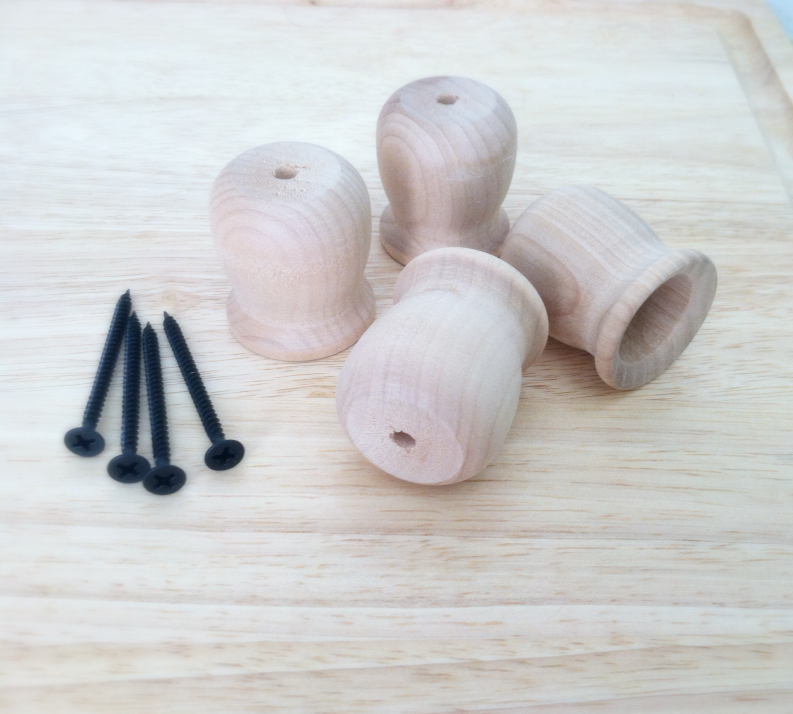 Attach four wooden craft candle cups (1-5/8” tall) with a 2″-long wood screw to the bottom of a large cutting board. You can find them at your favorite craft store. They come with a pre-drilled hole to make installation super easy. Use the head of a sharp nail to tap a pilot hole into the board for the screw and then with a few turns of a screwdriver the feet are secured. You can opt to use glue to attach the wooden feet, but I like to keep small-space accessories flexible and removable if my needs change. 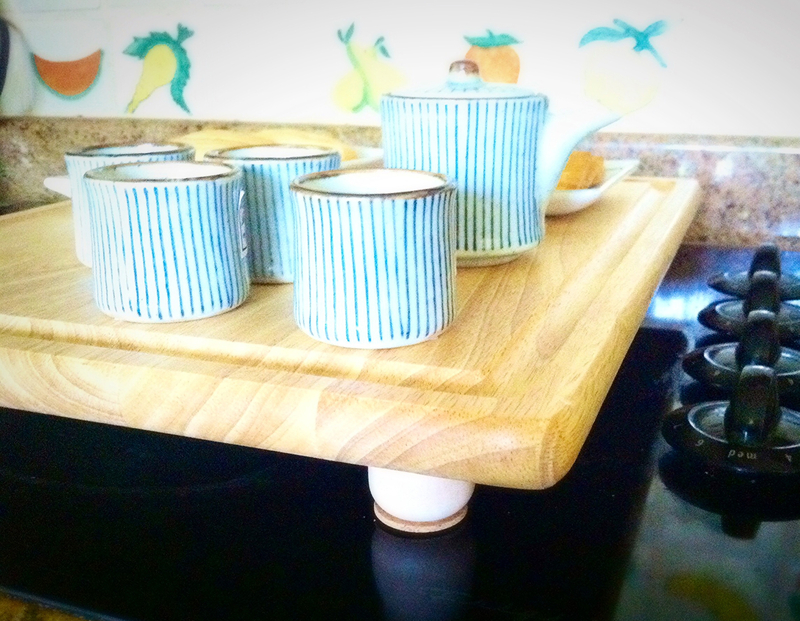 The feet will raise the board high enough to stand securely over most stovetop burners. Use the new super-sized counter space as a tidy serving buffet station or as a bonus food prep zone. When the dinner party is a wrap, the board is still compact enough to disappear under the sink until the next gig. Cheers! 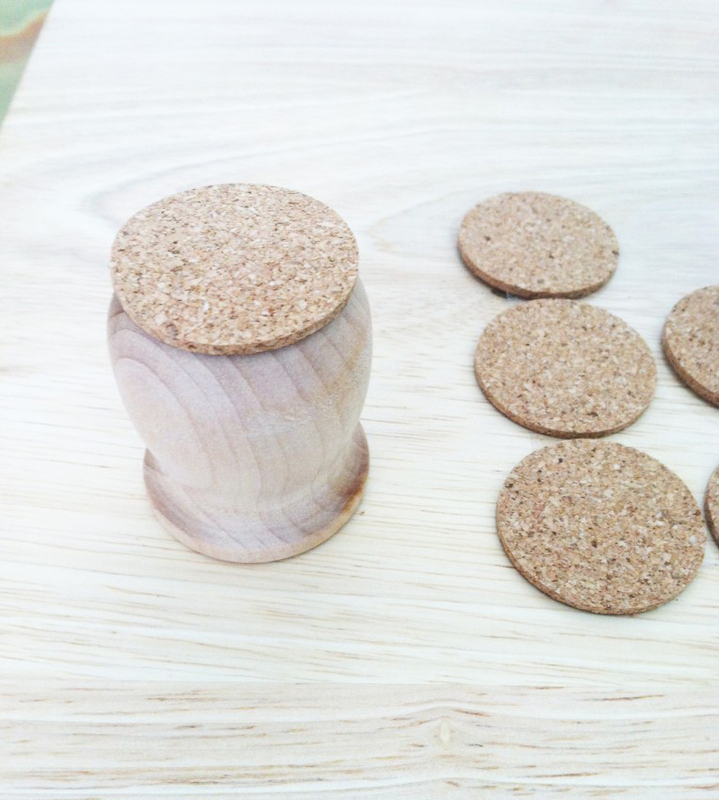 To protect from scratching your stove top, use cork furniture pads under the new cutting board feet.